UPBEAT Business Computing - The KRACK Wifi Hack. Don’t even try! Well, not with a so-called Wifi extender that is. Many of us have got used to using WIFI for everything and the manufacturers are feeding that with promises of more and more speed (bandwidth). So it’s only natural that when time comes to put that new smart TV into the “entertainment” lounge at the opposite end of the building, you see the advert for the WIFI extender and you think “that’s what I need.” Well stop right there! There are better ways. Much better ways! 1. Run a cable. If you are in a single-storey building and you’re able to make alterations, it could be simplest just to run a network cable through the ceiling space to where you need a network. Yes, it requires drilling holes and making a mess but my advice has always been that a cable will always be faster, more reliable and more secure than ANY affordable WIFI! 2. If you can’t run a cable, use Ethernet over Power (or Powerline Network) devices. These are small boxes which plug into power sockets at either end of where you need a network and, voila, you have an instant network. It’s not going to be as fast as the cable idea above but you can add to it very easily by just purchasing more Powerline Network devices and simply plugging them in. Some even come with a wireless access point built in which, by the way, is NOT the same as using a WIFI extender. Powerline Network devices may not work if, for some reason, your house, flat or office uses three-phase power or has a very old switchboard. They can also be rather expensive (the faster the speed, the more expensive they are) but very easy to move to another building! 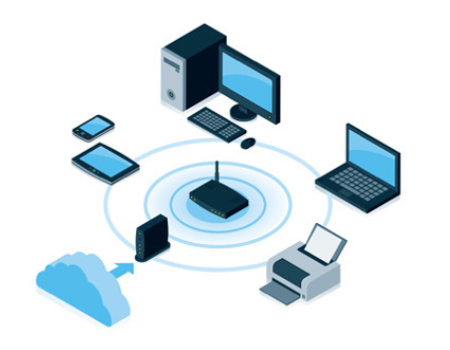 • If either of the above prove impossible or too difficult then by all means use a WIFI extender but be prepared for low speeds and unreliable connections. Why? Because a WIFI extender won’t work any faster than your WIFI does currently where you plan to put it. It is definitely the poor choice for extending your network into the far reaches of your home or office and should be considered only as the very last resort. • The number one rule of WIFI : Whenever and wherever possible, a cable is ALWAYS going to provide a faster, more reliable and more secure network.